It’s certainly not our place or intent to engage in wholesale character assassination and, we hasten to add, some of our best friends drive contemporary BMW automobiles. 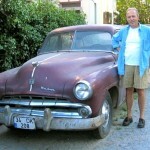 In fact, we like these cars; it’s some of their drivers with whom we have a beef. We have no gripe with anyone’s choice of branded transport, Hummers excepted, but it’s a demonstrable fact that a significant percentage of BMW drivers tend to act in an anti-social manner. To wit, we have a routine that takes us into a crosswalk everyday and invariably, BMW drivers speed up so as not to be inconvenienced by stopping to spare human life while drivers of other makes dutifully apply the brakes. We encountered such a person just the other day at a different intersection; he seemed lost in conversation on the phone which he held to his ear. (What? They don’t equip these things with a Bluetooth interface ?) He blithely barreled through the intersection, making a right turn on a red light, oblivious to the people attempting to cross the street. 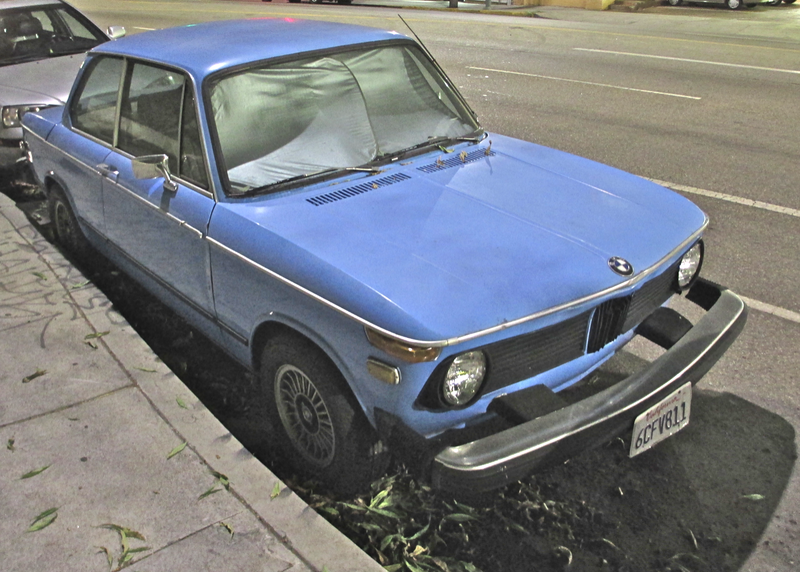 When one of them had the temerity to bang a fist on his precious Bimmer’s hindquarters, its Bluetoothless pilot became infuriated, made an illegal u-turn and caught up with the outraged fist banger and verbally berated the, heretofore, imperiled pedestrian. His actions and vituperous tone (“YOU HAVE NO RIGHT TO BANG ON MY CAR!”) reflect a droit du seigneur attitude endemic to many BMW drivers. Those would be the ones who think that their “ultimate driving machine” exempts them from having to act in a quasi-civil manner. Our crosswalk theory is borne out by actual scientific research which concludes that, yes, “BMW drivers were far less likely to stop for a pedestrian who had just entered a crosswalk” and another study which “found men between the ages of 35 and 50 driving blue BMWs were most likely to be reported as having engaged in road-rage behaviors such as aggressive driving and swearing.” The Urban Dictionary even has a definition of BMW Douche. We’ll let you read that for yourself. But we’re not here to beat up a sector of the driving public so reviled that their haters have a popular dedicated Facebook page. 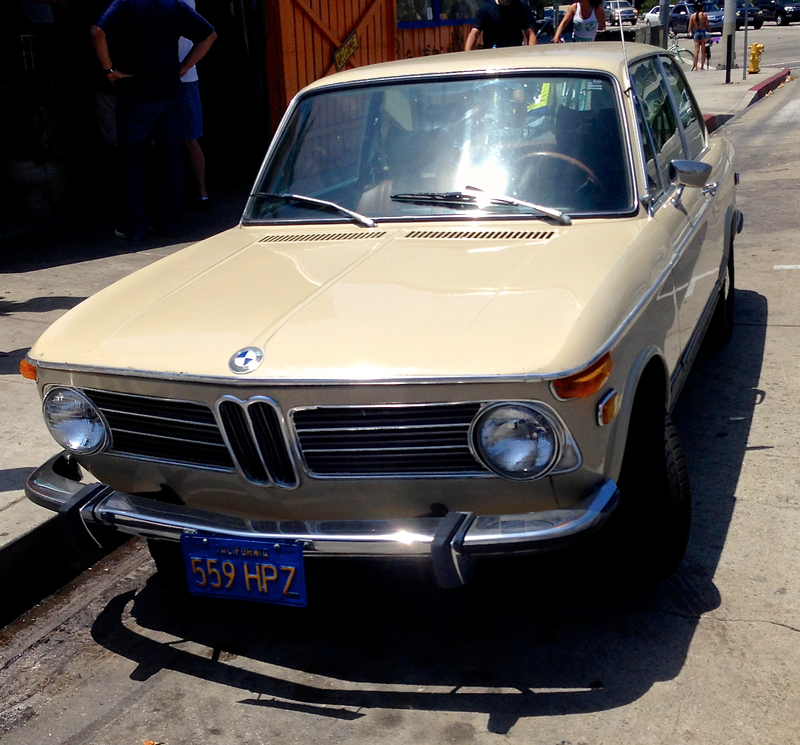 Our purpose is to celebrate BMWs which, in the past, were delightful, sporty, unpretentious, beautifully made cars, most notably the 2002 model, produced between 1968 and 1976. The very basic “three box” styling was certainly unassuming but its brilliant handling and feisty performance gave BMW a big boost with savvy consumers. The idea was revolutionary and paved the way for the storied 3 series that built on the acceptance of the 2002. Revolutions often start with the best of intentions; the excesses that followed this one have put us in the bind in which we find ourselves today. 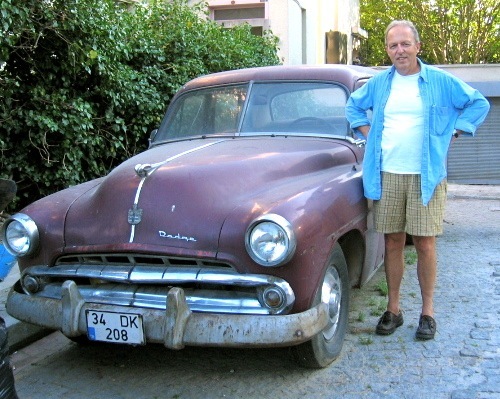 We like cars, it’s the people who drive them with whom we have a problem. It’s difficult to find unmolested BMW 2002s these day as they’ve typically been modified with flatulent aftermarket exhaust systems and fender flares to accommodate fat tires and trick wheels. We, have, however encountered some original examples which we’re delighted to share as reminders of a time when BMWs — and their drivers — were celebrated rather than reviled. Towards the end of their production 2002s were equipped with energy absorbing bumpers to comply with new new Federal safety standards; their inelegant placement tends to conjure up thoughts of Tonka Toys or a car made of Lego pieces. The 3 series debuted in 1975 and, initially, carried on the same no-frills attitude of its predecessor. But as the years rolled by things evolved in terms of more convoluted styling, bigger motors, higher weight and they were crammed full of electronics. More importantly, they appealed to some drivers whose approach to civility could be characterized as ‘challenged.’ Pass the hair gel! 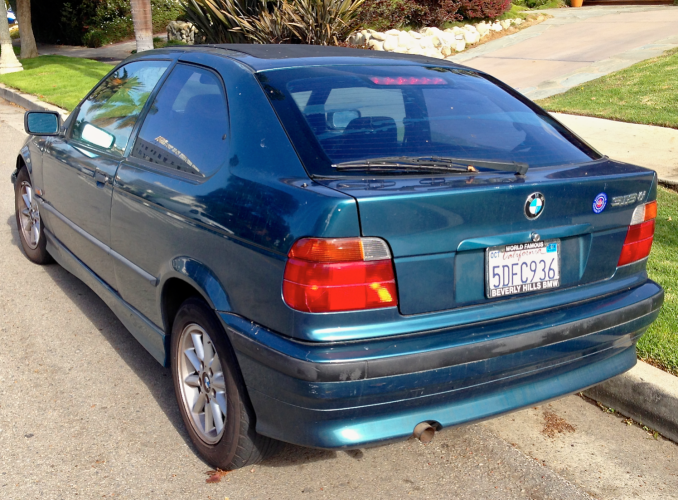 To its credit, BMW did try to rekindle the spirit of the 2002 with the 318ti hatchback that was introduced in the ’90s. It was shortened, decontented and equipped with a smaller 4 cylinder motor. Unfortunately, it was a sales failure and discontinued, plausibly, because it had minimal douche appeal. We’re not trying to beat a dead horse and, certainly, the BMW ‘horse’ is alive and kicking with first six months sales in 2014 12% higher than last year’s. Arch rival Audi is not, however, above the fray. Their current Nice Performance commercial speaks volumes without spelling things out too overtly. 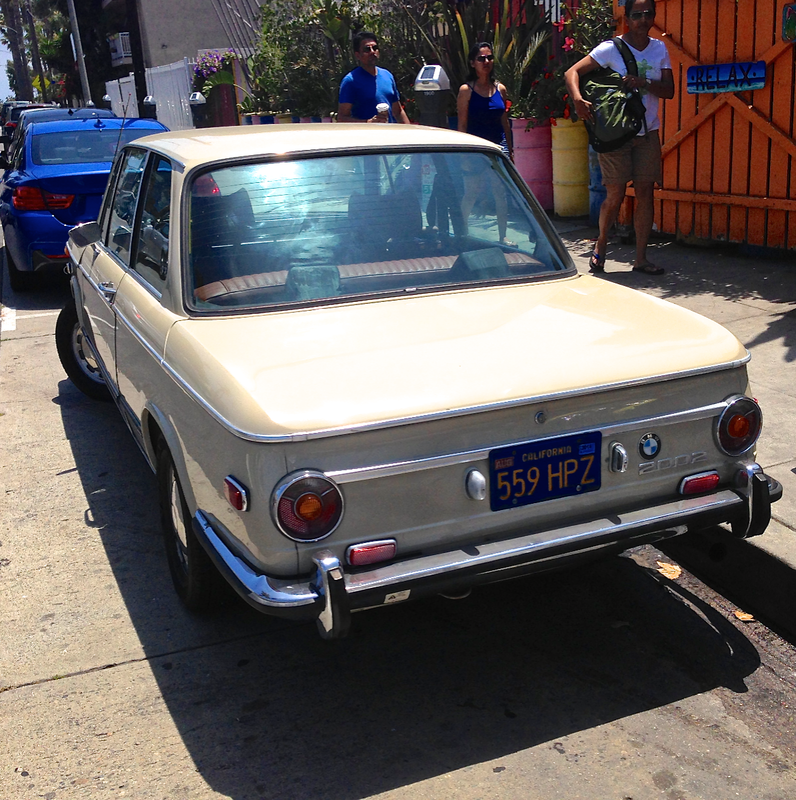 BMW, for its part, cashes in on its storied 2002 heritage in this commercialto introduce the smaller 2 series. We’d be remiss if we didn’t mention that members of the Baader-Meinhoff Gang who terrorized West Germany in the ’70s favored BMW 2002s. 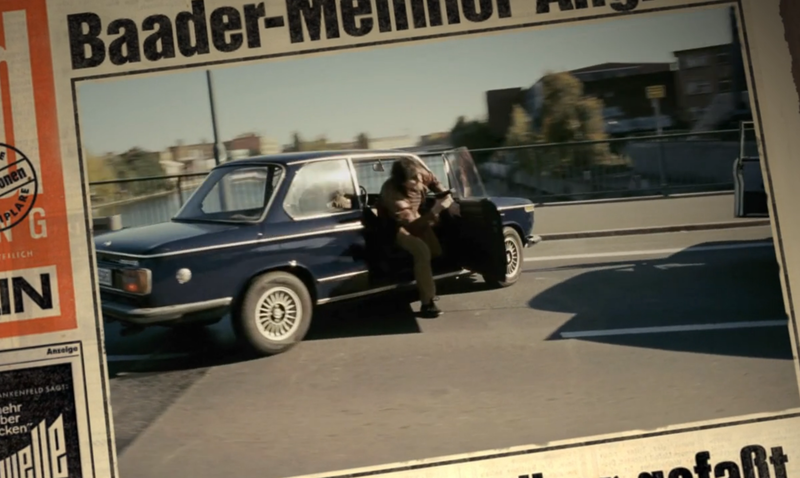 Paranoid Polizei of the time considered anyone who drove a 2002 to be suspicious and the BMW acronyn was perverted to stand for “Baader-Meinhof Wagen.” This video explains the phenomenon most wonderfully and, then, dig this still from the film Baader-Meinhof Komplex. Full disclosure, we drove one from 1970 to 1992 and it’s sorely missed. Prices for good surviving or restored examples have skyrocketed. You can browse here but we’d be surprised if you really found a bargain but one never knows. 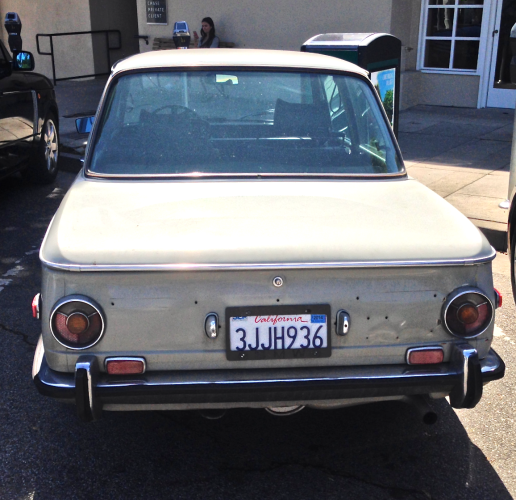 This entry was posted in Audi, BMW, Rattles + Squeaks on 09/15/2014 by feralcars.